It is almost time for the annual Storefront for Art and Architecture spring benefit and auction. This year’s event is taking place at the Eero Saarinen*-designed Trans World (TWA) Flight Center, soon to close this year, and slated to reopen as a hotel in 2018. But first, to make sure you’re up to speed, a little bit about the Saarinen space at the JFK airport: a New York City landmark, the 1962 terminal head house has been closed since 2001, the same year American Airlines acquired Trans World Airlines (the original terminal airline). The Saarinen head house underwent a renovation, while portions of the surrounding terminal were demolished to make way for the Gensler-designed terminal that opened in 2008. The Storefront auction on May 8 will be the last public event in the terminal before redevelopment. The theme this year is BEYOND BORDERS, which the Storefront defines as: “In the space of the border, architecture intersects with dilemmas of flow, control, identity, and belonging. The scale of such dilemmas ranges from geopolitical to liminal. Borders, as lines of division between political, social, ecological, and moral issues, are subtle and ubiquitous protagonists in the poetics of daily life. They absorb the desires that exist on the margins of the legal and the possible”. In addition to the Denise Scott Brown photograph above, here is a sampling of the diverse pieces in the silent auction. *For those on the west coast and want to check out an Eero Saarinen project, there is one in the Pacific Northwest. Saarinen designed an Oregon monastery library at Mount Angel Abbey in 1970. 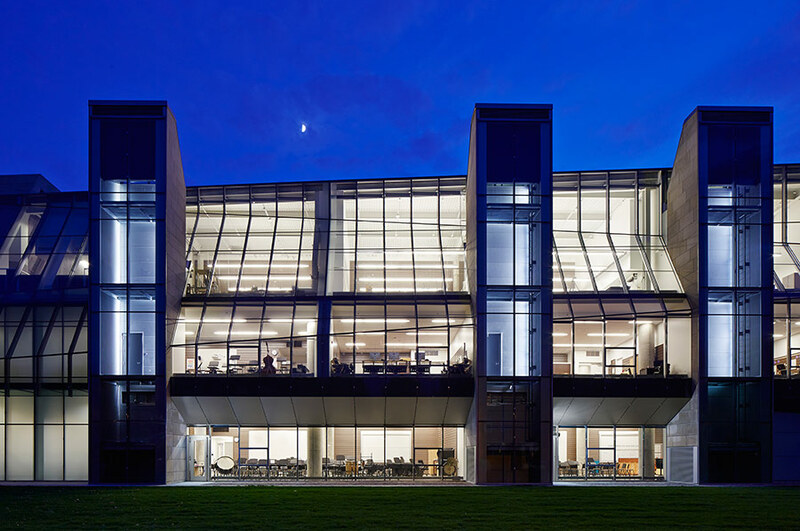 You can see a crossover between his light filled architecture and practical industrial design sensibilities carried through from the site placement down to the arrangement of study spaces. 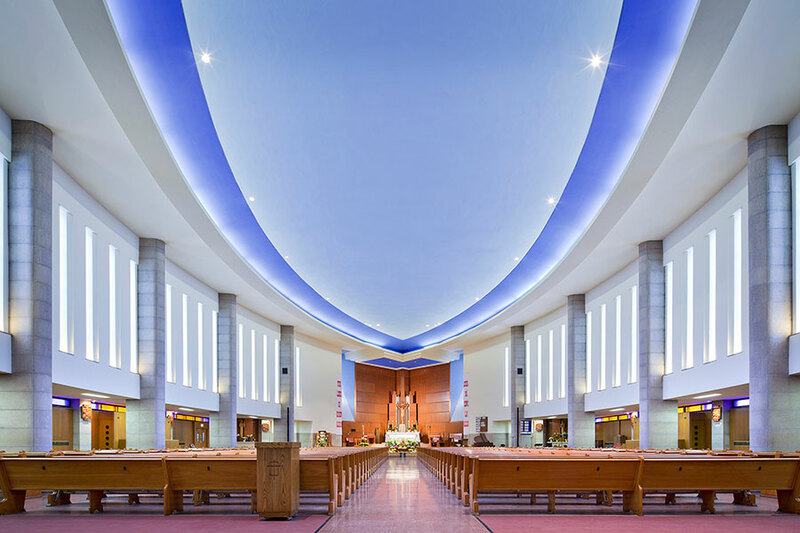 St. Columba's nave is among Minnesota's finest midcentury worship spaces. Perhaps never more so than in Minnesota, where a burgeoning, postwar population in the Twin Cities of Minneapolis and St. Paul began to sprawl beyond city boundaries across the fields and prairies, in large part because of the tract houses built quickly and inexpensively by Orrin Thompson Homes. Young couples could afford to marry and raise families in the new ramblers and drive their new cars on new highways connecting their cookie-cutter suburbs with new shopping malls and office buildings. In fact, Millett opens his book with a 1953 image of Minnesota’s first cloverleaf highway interchange, built in 1937 just outside of Minneapolis in a soon-to-be first-ring suburb. There’s an argument to be made here: that midcentury modern—the good, the bad, and the ugly—is suburban. In his book, however, he covers not only modest suburban ramblers, but also how the reach of midcentury modern encompassed a remarkable array of architectural typologies in locations (rural, suburban, and urban) throughout the state—consider Marcel Breuer’s church at Saint John’s Abbey and University (Collegeville); Eliel Saarinen’s Christ Church Lutheran (Minneapolis); Eero Saarinen’s IBM Building (Rochester); the Northwestern National Life Insurance Building by Minoru Yamasaki (Minneapolis); and Victor Gruen’s Southdale Center (Edina), the first enclosed shopping mall in the United States. Midcentury modern also encompasses Ralph Rapson’s Guthrie Theater (razed), along with such no-less-venerated venues as the Terrace Theatre in Robbinsdale (mothballed), the now-iconic Dairy Queen in Roseville (still dishing up soft serve), and St. Paul’s Porky’s Drive-In (razed). In addition to the square, affordable rambler, midcentury modern birthed other housing types, from the long, one-level ranch house, to compact metal Lustron homes, to the flat-roofed, glass-walled, open-plan, architect-designed residence. Millett includes 12 such “high-style” homes throughout Minnesota—by Frank Lloyd Wright and Twin Cities’ architects Elizabeth Close, Ralph Rapson, and Gerald Buetow, among others. But his investigation goes even deeper. As Millett also points out, midcentury modern, which dominated architecture and design from about 1945 to the late-1960s, “penetrated like oil into the social, political, and cultural machinery of the times.” So while delving into these projects and more in a nearly 400-page book rich with photography and illustration, Millett also places Minnesota’s love of midcentury modernism in a broader context. He traces Minnesota’s development and practice of midcentury modernism to three sources or “strains.” One was the work of such European architects like Adolf Loos, Ludwig Mies van der Rohe, Walter Gropius, Marcel Breuer, Rudolph Schindler, Richard Neutra, the Saarinens, Alvar Aalto, and Le Corbusier (“who was very fond of American concrete grain elevators, a building type invented in Minnesota in 1989”). Millett describes how these architects’ work and influences, combined with elements of art deco and art moderne, produced such Minnesota architects as Rapson—a proponent and practitioner of the International Style. California’s ranch houses (even though their emphasis on outdoor living didn’t translate well in Minnesota’s tough winter climate) and the corresponding commercial version (affectionately named Googie) were the second source of influence. A third strain apparent in Minnesota’s midcentury modernism was the work of Frank Lloyd Wright, particularly his Usonian houses. Millett goes on to add that materials developed during World War II—laminated wood trusses that were used instead of steel, as well as prefabricated structures and prestressed concrete—also influenced the design and construction in midcentury modernism in Minnesota and elsewhere. 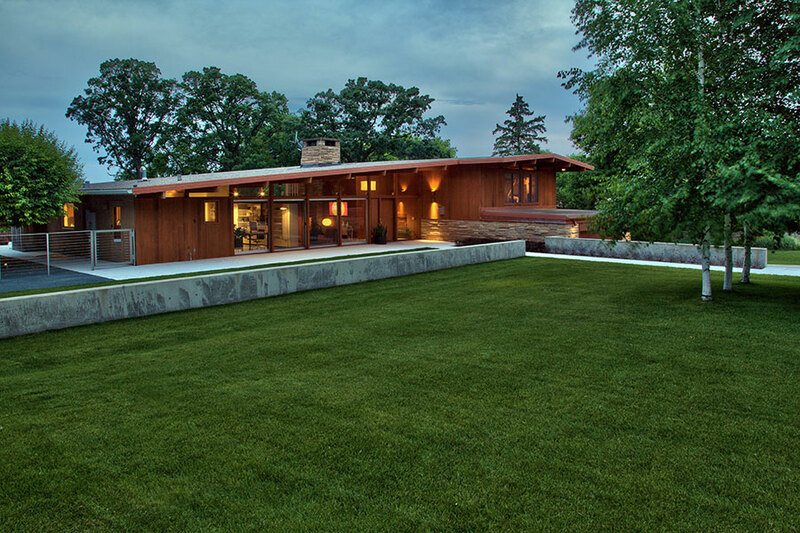 Despite these influences, Millett stresses that, “midcentury architecture in Minnesota was mostly a homegrown product.” Today, many of buildings designed by local and regional architects are sorely in need of preservation. The former architecture critic for the St. Paul Pioneer Press, Millett is an architectural historian whose previous books include Lost Twin Cities and Once There Were Castles: Lost Mansions and Estates of the Twin Cities. Both books, as their titles suggest, discuss the architectural treasures Minnesota has lost to the wrecking ball. Millett’s new book concludes with a call to action. 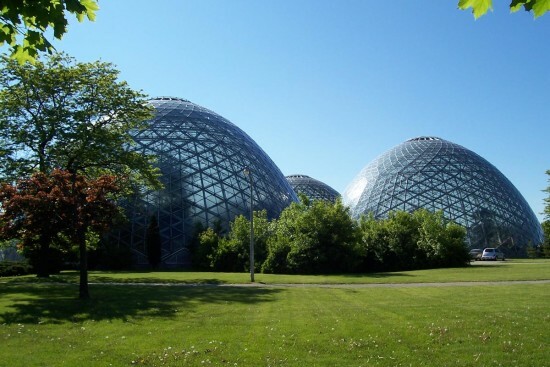 Though the “architectural legacy of the midcentury era in Minnesota is decidedly mixed,” he writes, citing instances of “drably utilitarian” public buildings, “excesses of urban renewal” in Minneapolis and St. Paul, and ill-planned suburbs, “the time has come to look at ways to protect significant works of the period.” Many of these works are now eligible for National Register of Historic Places designation. Minnesotans, with their no-nonsense approach, nonetheless cultivated a singular midcentury sensibility worth saving. Kevin Roche and John Dinkeloo's faceted, mirrored 1975 design. The UN Plaza Hotel Ambassador Grill and Lounge, designed by Pritzker Prize–winning architect Kevin Roche and John Dinkeloo and completed in 1975, cleverly uses mirrors and lighting to create faux skylights that help transform the basement space into a theatrical yet tasteful dining room that feels surprisingly spacious. If Mad Men aired for another few seasons, we surely would have seen Don Draper brokering international ad deals in its velvet banquettes. Maybe that would’ve helped cultivate some romantic attachment to the spaces, which are now under threat. The hotel was renovated and rebranded as One UN New York in 2012 by owners Millennium Hotels and Resorts, who announced the second phase of their renovation last November, promising “the debut of a new restaurant and bar concept.” It was a call to arms for preservationists, who were further alarmed by reports that exploratory demolition was underway in the Ambassador Grill despite a lack of permits. The reports were disputed by Millennium, who closed the restaurant last year and said that no decisions have been made. 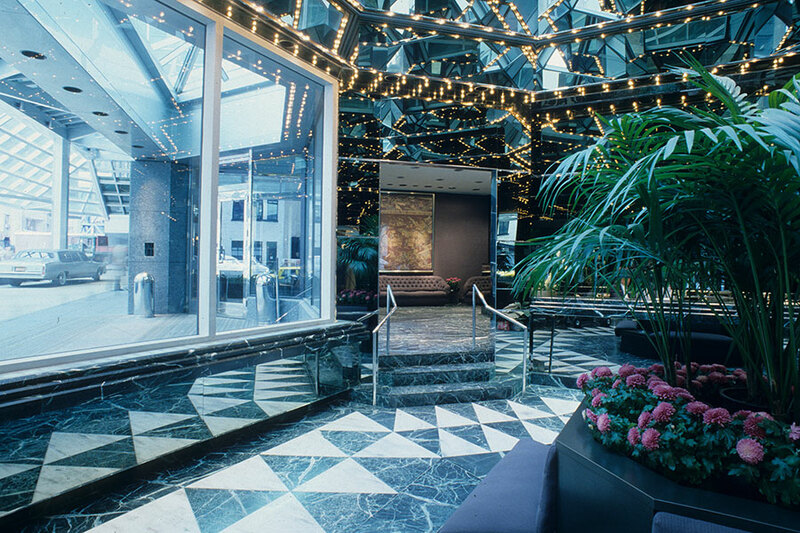 Opponents of the presumed renovation are seeking to protect the restaurant, as well as the hotel lobby—a decidedly postmodern hive of reflective glass and marble completed in 1983—by having them designated interior landmarks. In early January architecture advocacy group Docomomo US filed a Request for Evaluation with the Landmarks Preservation Commission and have created a petition to raise support for an expedited public hearing. To qualify as a landmark, an interior must be 30 years old, publicly accessible, and have a “special character” or historical import that gives it cultural value. 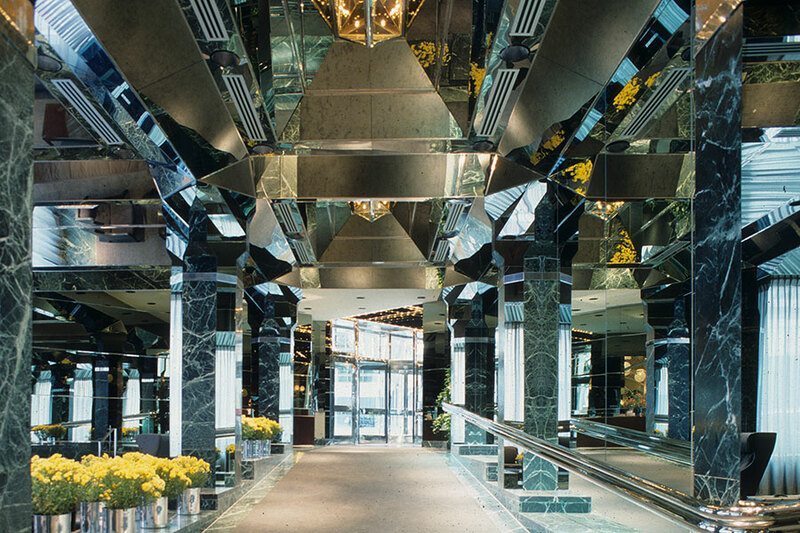 Those against landmarking call the spaces ugly and dated; those in favor argue that they are some of the most intact and significant late-modern spaces in the city and an exemplar of Roche’s use of mirrored glass, which he pioneered in 1962 while working on Bell Laboratories for Eero Saarinen. Of the 117 interior spaces that have earned the landmark designation since it was initiated in 1973, only four are restaurants, including the Four Seasons, which has been threatened despite its status. Currently, the “youngest” interior landmark is Roche and Dinkeloo’s 1967 Ford Foundation, so the actions of the commission are particularly important because they’ll set a precedent for the preservation of late-modern and postmodern architecture in New York. A new exhibition, "Atomic Fusion: The Zen Artistry of Michael Yurkovic," showcases the work of Michael Yurkovic, principal at Park Ridge, Illinois–based Atomic Miniature, who creates 1/12th scale models of midcentury modern (MCM) design classics. 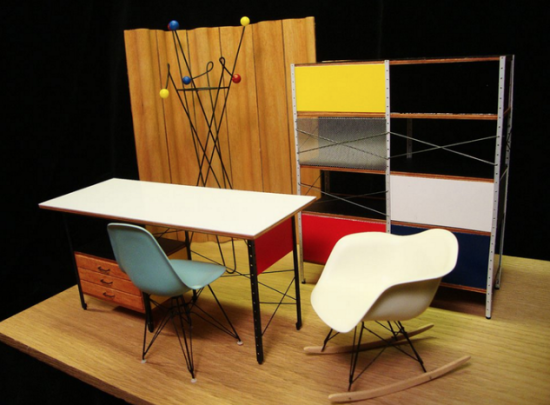 Yurkovic, who is a a member of the International Guild of Miniature Artisan, offers select works from his portfolio of MCM and Atomic Age furniture and design at the D. Thomas Fine Miniatures in Hastings-on-Hudson, New York. Inspiration, Yurkovic says in a press release, comes from the work of Eero Saarinen and Charles Eames, and his own career as a successful toy and game designer. Using thermoform plastics, high quality hardwood, molded plywood and vinyl, Yurkovic makes all his models by hand. His creations embody the lifestyle associated with MCM design which Yurkovic openly embodies, while additionally, they act as inspiration for further projects, contributing to the meditative space Yurkovic uses to work in. This results in a Zen-like ethos with a focus on simplicity. Consequently, Yurkovic seldom revisits projects to tweak or make modifications, relying on his intuition rather than, as he says, "fixating on a goal or conventional thinking." The exhibition will run from March 5, 2016 through May 1, 2016 and on the opening day, an all-day Master Class will be on offer to those who want to learn about period design and create their own MCM shadow box. The day after, on March 6 from 3-6 p.m., Yurkovic will also discuss his vision and creative process at a special Open House. 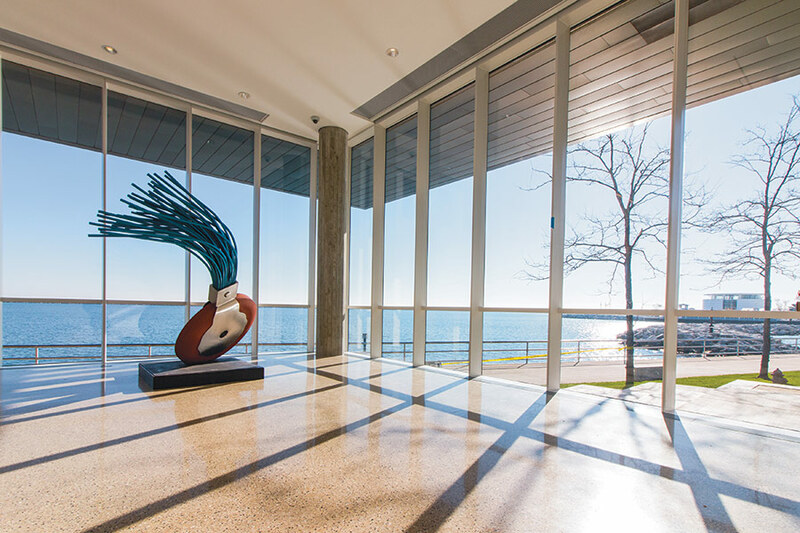 The new addition to the Milwaukee Art Museum reopens views to Lake Michigan. 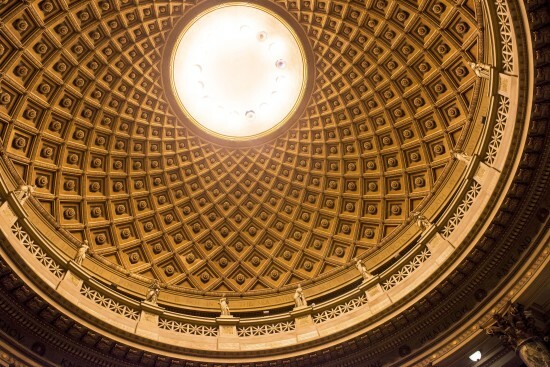 One of the oldest art institutions in the United States has just been given a makeover. After nearly six years of planning and two years of reconstruction, the reopened 125-year-old Milwaukee Art Museum has been completely remodeled and reconfigured. 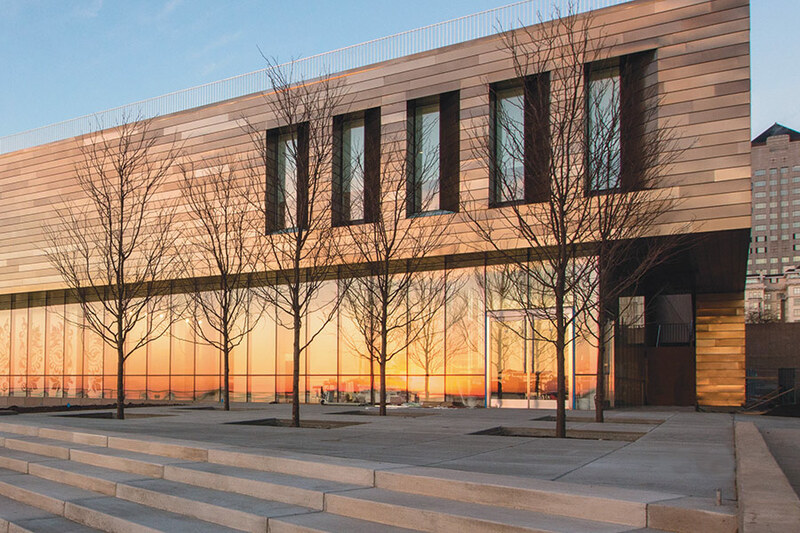 New and reorganized galleries, a reopened entrance, and closer connection to Lake Michigan completely change the museum experience. 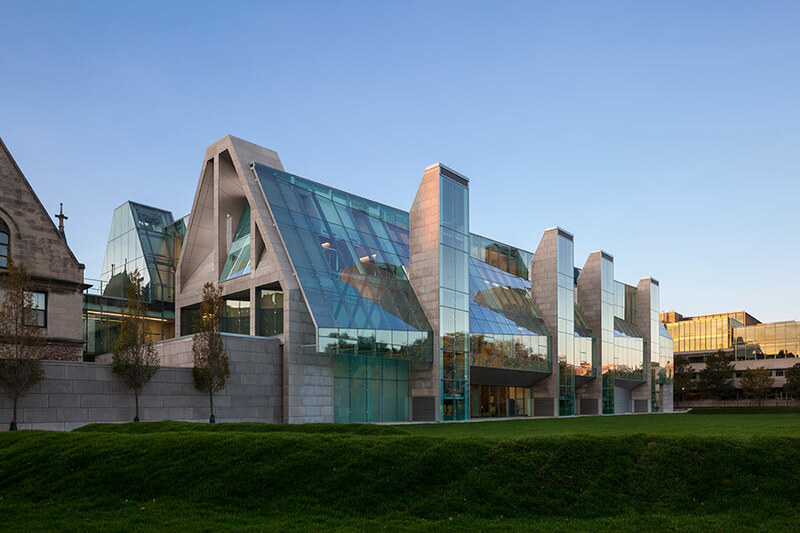 Most recognizable for its Santiago Calatrava–designed Quadracci Pavilion, which opened in 2001, the museum also boasts a 1975 David Kahler wing and the 1957 Eero Saarinen War Memorial Center. The remodel focused on the two older structures. 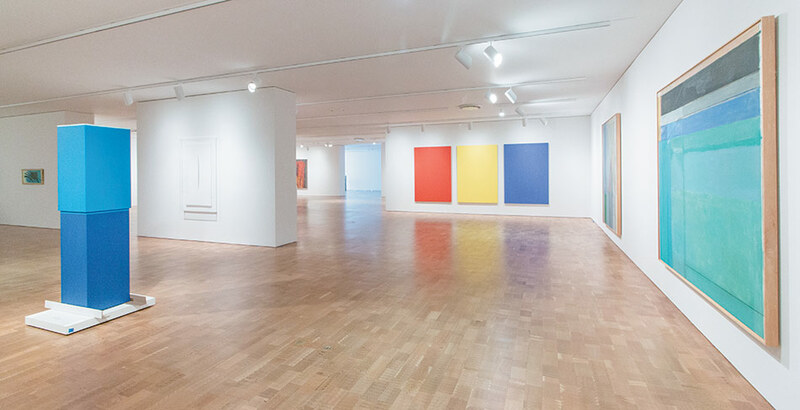 Gallery layouts allow for an additional 1,000 artworks to be displayed. Included is a new 20,000-square-foot addition, informally referred to as the “East End,” designed by the Milwaukee office of Minneapolis-based Hammel, Green and Abrahamson. Clad in copper and zinc panels, the addition extends the roof top terrace, on which Saarinen’s War Memorial sits nearly on the edge of Lake Michigan. From its cantilevered upper level, the interior includes floor to ceiling windows that provide an uninterrupted shoreless view of the lake immediately below. This relationship to the lake was lost when the Calatrava wing was added, and the windows of east facade of the Kahler wing were removed. Along with reintroducing a lakeside entrance—also lost at that time—the all-glass lower level includes a small-plate cafe just steps off of the lakefront walking path. “We wanted to fundamentally change the experience,” remarked museum director Daniel Keegan at a press conference before the opening. “We have turned the museum on its head.” While maintaining much of the exposed concrete work of the Kahler building, nearly every gallery wall in the museum was repositioned and every piece of art rehung. The new configuration allowed for 1,000 new works to be put on display, upping the number of overall presented works to 2,500. 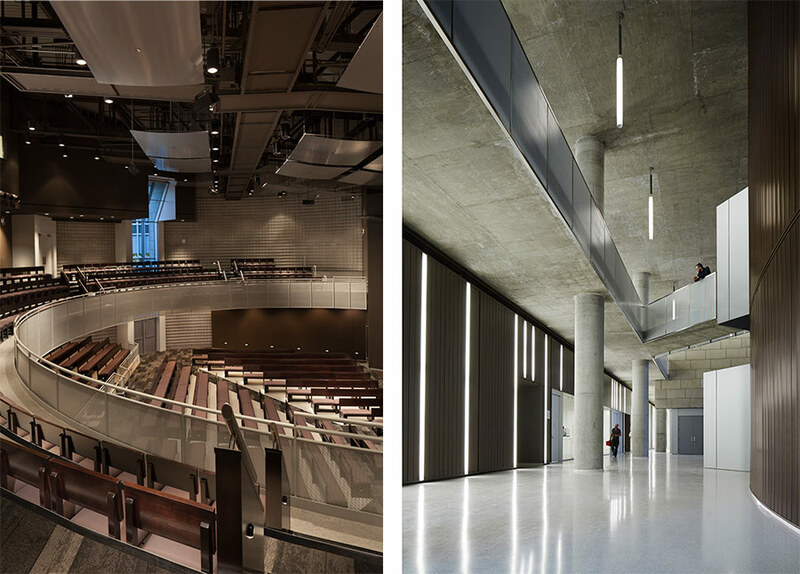 The design untangles the circulation of the formerly labyrinthine space and created new galleries for Photographic and Media Arts and 20th and 21st century design out of former administration offices. The result is a museum that is hardly recognizable to anyone that has visited in the past. Like so many other Rust Belt cities, Milwaukee is in the process of reinvention. Considering the $34 million spent on this new investment in the museum, it would seem that Milwaukee is placing its bets on architecture and the arts as a way to attract tourists, as well as locals, to its downtown. In the works for two decades, the new UNStudio-designed train station for Arnhem, Netherlands—the city’s largest post-war development—has finally opened to the public. The 234,000-square-foot transfer hall, which features undulating steel forms reminiscent of Eero Saarinen’s futuristic TWA Terminal design, is a vibrant nexus and a core component of the Arnhem Central Masterplan. The project began in 1996 when UNStudio won a design competition to replace a mid–20th century train station. 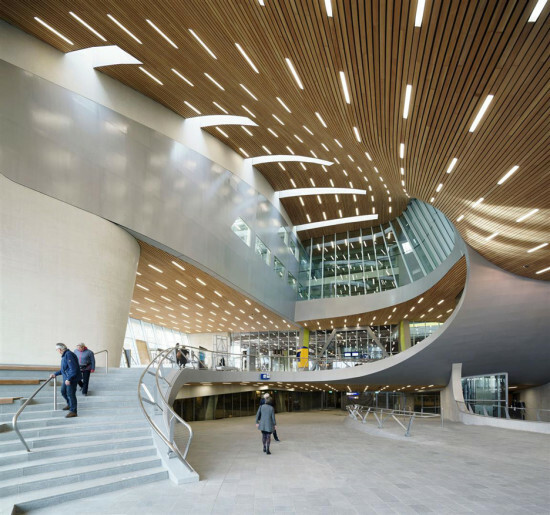 The building, designed in collaboration with engineering firm Arup, comprises facilities and waiting areas for trains, trolley buses and a bus station, as well as shops, restaurants and a conference center. Two underground levels serve as bicycle storage and car parking. With its unique design, founder and principal architect of UNStudio Ben van Berkel said in a statement that the aim was to "blur distinctions between inside and outside by continuing the urban landscape into the interior of the transfer hall, where ceilings, walls and floors all seamlessly transition into one another.” Skylights make for a space that is infused with natural light, further emphasizing the connection to the outside. The building's curving structure required a departure from typical construction methods and materials. Lightweight steel was employed using boat-building techniques on a scale never before attempted, resulting in a column-free space with a fluid expression. This seamlessness is translated into a complex network of ramps that move people around the station with ease and elegance. Additionally, purposeful lighting was designed to aid wayfinding. According to Van Berkel, the transfer hall “directs and determines how people use and move around the building.” The new station serves as a link between the city center, the Coehoorn area, and a nearby office plaza, and is designed to accommodate a daily flow of 110,000 commuters by 2020, establishing itself as not just a train station, but as a vital nucleus for Arnhem and for the Netherlands. Swiss watchmaker Rolex is looking out for new talent. The Rolex Mentor and Protégé Arts Initiative pairs accomplished artists and designers across all disciplines with emerging practitioners for a yearlong, one-on-one mentorship. 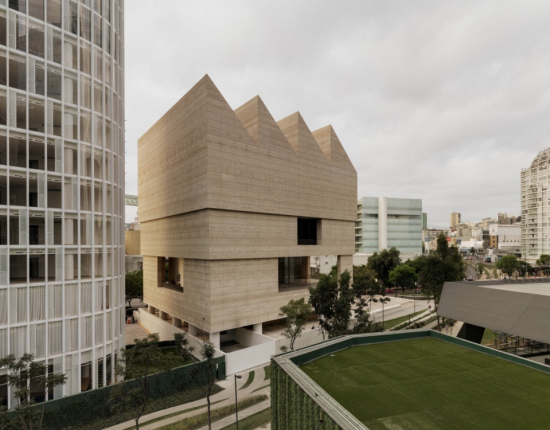 At an awards ceremony on Sunday in Mexico City, David Chipperfield was chosen as the mentor in architecture. The partnership with the as-yet-unchosen protege will begin mid-2016. A noted architect of cultural and civic institutions, Chipperfield designed Mexico City's Museo Júmex (completed 2013); the Nobel Center in Stockholm (set to open in 2018); the Royal Academy of Arts master plan (expected completion: 2018); and the Turner Contemporary Gallery in Margate, England. In September of this year, David Chipperfield Architects beat out KPF and Foster + Partners to convert the Eero Saarinen–designed United States Embassy in London into a hotel. For the Rolex initiative, panels of arts professionals all over the world convene to nominate new talent in their respective fields. Mentors choose from a list of three to four finalists. Winners will be announced in June of next year. The pair is asked to spend at least six weeks together, collaborating on projects. Past mentors in architecture include Peter Zumthor (2014–2015), Kazuyo Sejima (2012–2013), and Alvaro Siza (2002–2003). In addition to Chipperfield, this year the committee selected Mia Couto (literature), Alfonso Cuarón (film), Philip Glass (music), Joan Jonas (visual arts), Robert Lepage (theatre) and Ohad Naharin (dance). Radical inventions that lead to profound societal transformations tend to be accompanied by founding myths and overlapping claims for authorship. Once a certain founding story has been widely accepted, research will periodically uncover it as being false, and the evidence for an alternate narrative will emerge. Trying to change accepted founding myths is notoriously difficult: Gutenberg built his printing press after centuries of development in printmaking across the world, but his name is strongly tied to the advent of the printing revolution. Importantly, the significance of a figure like Gutenberg and the related story becomes a point of local pride. The founding myth of computing is a multifaceted story still in the process of being created. Since the invention of computing simultaneously challenged notions of collaboration and the concept of individual authorship, tracing the genesis of this technology is particularly demanding. Silicon City: Computer History Made in New—an exhibition that opened recently at the New York Historical Society—finds the roots of the digital era in the New York region. The curvilinear exhibition design is anchored by three bulbous spaces housing thematic multi-screen installations. 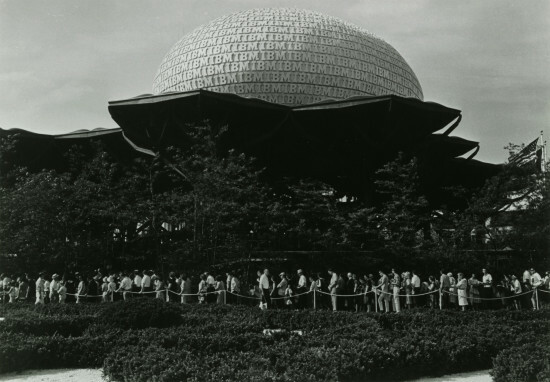 The first spheroid is a mini- recreation of the egg shaped IBM pavilion at the 1964–1965 New York World’s Fair. The original Information Machine designed by Eero Saarinen allowed 400 guests to view a show directed by Charles and Ray Eames—a spectacle on twenty-two screens of various shapes and sizes. A second cavern, reminiscent of Buckminster Fuller’s geodesic domes, is housing a video reel showing pioneering collaborations between artists and engineers in the 1960s. These include 9 Evenings: Theater and Engineering, a series of large scale performatic live events at the Armory. Engineers worked with artists from various disciplines—including Robert Rauschenberg, Steve Paxton and John Cage—to create custom technical equipment including responsive systems and participatory apparatuses. These early experiments in digital art were certainly enabled by a convergence of artistic and technological talent only possible in New York. Meandering between these video installations, the core of the exhibition is tracing local achievements of the history of computing from the 1800s to the 1980s, showcasing a number of stunningly beautiful technological artifacts. Highlights include a IBM SSEC console, a large table with hundreds of regularly spaced knobs originally located in the IBM headquarters on Madison Avenue. Another fascinating device is a matrix of jacks connected by plug-in cords, programmed by making physical connections. These objects are accompanied by image documentation, in some instances highlighting the undervalued role of female engineers. Images of exceptional figures like Grace Hopper—a native New Yorker—teaching the coding language COBOL she helped to develop at IBM, reinstate the importance of women in the early development of computers. A section on identity branding and design highlights the work of Paul Rand and Eliot Noyles at IBM and a gallery on graphics, music and games presents a medley of various gaming consoles and cultural artifacts. A third immersive capsule ends the show with a multimedia showcase highlighting current tech companies and startups in New York, providing a uplifting outlook reinstating New York as a city thriving with digital technologies. Focussing on the development of technology from a local perspective produces some astonishing omissions—the military, a driving financial and ideological force behind the development of computers is barely mentioned. Nevertheless, filled with fascinating objects, the show presents one facet of a transformative global invention. Mythicizing the development of early computing as a New York story, it delivers a rich kaleidoscope of locally based innovation. After years of disinvestment, the New York park system is receiving the funding it needs to address more than a billion dollars of neglected maintenance across the state’s 213 parks and historic sites. Despite the much needed $89 million of funding received in 2012, thanks to a push from Governor Andrew Cuomo and an audit from the state controller’s office which found sections in the park in such disrepair that they had to be closed to the public, many parks are unable to operate in their full capacity due to crumbling amenities. The state plans to spend upwards of $900 million on improvements by 2020. This is a much-needed turnaround after 2010 when the state budget allotted no new money for improvements in the park system, triggering a report to be issued with the Alliance for New York State Parks called, Protect Their Future: New York State Parks in Crisis. However, most of the funding allotted to date is desperately needed to repair bathrooms, fix electrical issues, and pave roads—critical amenities—rather than to advance and improve the century-old park system. 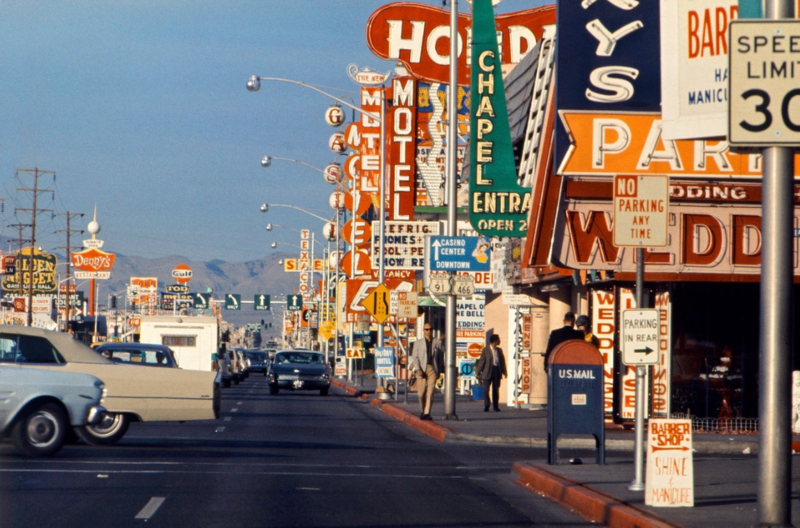 Compare this current situation to that of the 1950s and '60s, when a federally sponsored program called Mission 66 spent more than $1 billion between 1956 and 1966 to create modern infrastructure and improvements in the parks. The program created the concept of visitor centers and built more than 100 of them during its decade-long run. Architects like Eero Saarinen and Richard Neutra were commissioned to make parks a destination for architecture as well as landscape, and explore how the built and natural environments could play off of each other. That is not to knock the recent bout of funding, though. 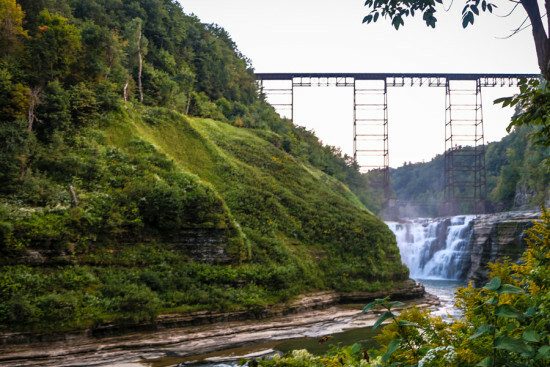 Letchworth State Park in Castile, New York, received a $5.75 million nature center in addition to a new electrical system and amenities; Niagara Falls has $50 million budgeted for upgrades to pedestrian walkways, lighting, and landscaping; and Jones Beach, on Long Island, is renovating a historic bathhouse and preparing the area to adapt to rising sea levels. Additionally, in January, the Excelsior Conservation Corps will launch its first group of 50 young volunteers who will work and live in the park system in exchange for a stipend. There are hopes that this movement is the beginning of many to usher in an era of the park system.